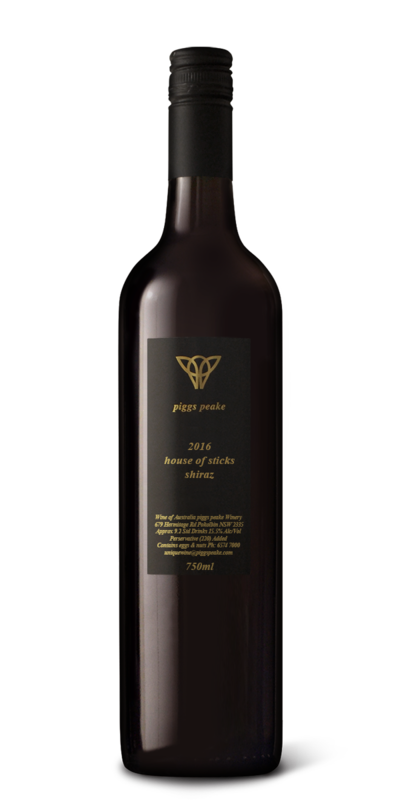 The House of Bricks Shiraz is one of Piggs Peakes’ “stock” wines. It’s one of the wines people instantly associate with the company. It is Australia after all and Shiraz is by far and away our favourite red, but what makes this one stand out from the crowd? Quite simply, it’s the blending. At Piggs Peake we make Shiraz from the Hunter Valley, Mudgee, Orange, McLaren Vale, Barossa Valley and Hilltops. As such, when we go to blend up and bottle a Shiraz we have every Shiraz flavour spectrum in the winery as we have wines in barrel from the coast, from inland, from the south, from the north, from sea level and from the tops of the mountains. It’s a wonderful thing. In my opinion the best red wines we make are blends where we use sea level grapes and blend them with the tops of the mountains. When we do this we get power and elegance. Years like 2016 where McLaren Vale and Orange both deliver is when we get the opportunity to blend these wines to make the best House of Bricks Shiraz’s.